This winter, I have really gotten into my serums. I went through a phase of being obsessed by face oils. Which truly speaking I still am, however it is time to give you the lowdown on serums. You are possibly thinking that it’s all just a load of s**t, but I kid you not. My skin thanks me every morning for using a serum.Yes, I have conversations with my skin pre 7am. Now this one is only just being launched. Available nationwide from February, but as I am special I got a bottle already in early January and let me tell you, I am hooked. The serum is light and almost fluffy. It glides on the skin beautifully, sealing and locking in hydration. It is of course filled with anti-aging ingredients that will help to smooth out those fine lines and wrinkles. I have been using it for a month now and I can seriously see a difference. Really loving this, which is why it went straight into my top 5. 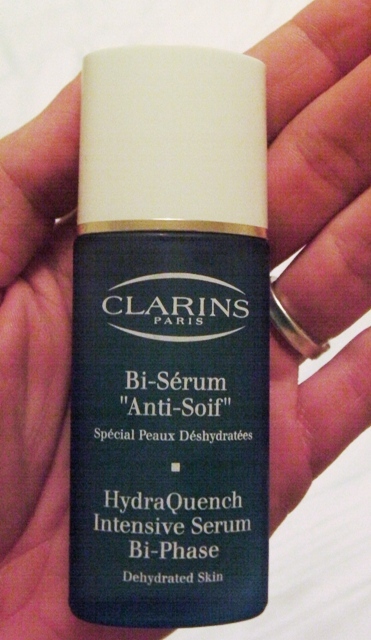 This Clarins serum is for those days that you can actually feel your skin crack. You know? When it’s so cold, that it really feels like your cheeks might snap! You shake the bottle like a maniac to mix and the spray the serum out. It is light weight and goes on like liquid gold. On my skin it stings a little to start with. I use this most often at night, after a hot shower, in the morning I wake up with soft skin that looks hydrated and plump. Never a bad thing. Now, this one isn’t really a “serum” as it is called booster. However, since discovering Sarah Chapman’s products in 2010, I have been totally addicted. As I hate using scrubs and exfoliations on my skin, this booster was made for me. It’s a potent cocktail of wonderful things that work while I sleep maximizing the skin’s own cell renewal. Brilliant. Could not be easier. I use it religiously on Sunday nights and it has started to make a difference. My skin seems smoother, better skin tone and not having any issues with clogged pores. I have radiant skin. Bingo! Good old Darphin. 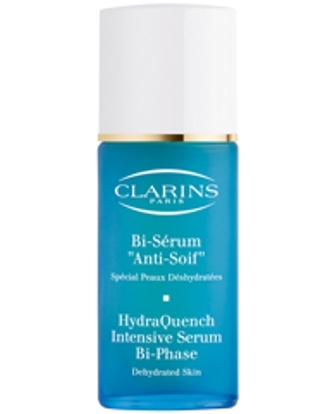 I could not do a list of my favorite serums without Darphin. They have a HUGE selection of serums and skin oils etc, all which are matched to your skin type. As any 30 something year old I am terribly worried about the first signs of aging, enter Arovita C Line Firming Serum. Smells lush and three pumps sinks into the skin leaving it feeling nourished and looking fierce. I use it usually in the morning to prep my skin for the day, but you can use it at night-time for more intensive treatment. Once more for the cheap seats at the back! 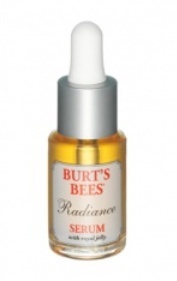 Unfortunately cheaper serums have no effect what so ever, I say most as Burt’s Bees Radiance serum is just amazing and all for under 20quid. It contains royal jelly, which we all know is great for your skin. Totally superb product for the price. Only promises radiance and delivers.